Abstract: There are many different kinds of vehicles on the market, but a vast majority of them are probably not suit you. That's where Airwheel R8 trekking bike comes in. You can use it to do exercise, or to commute. You can even use it to have an off-road ride to destress. In today's fast-paced business culture, many with high-intensity work are in a highly-charged atmosphere. Meanwhile, the modern times with rapid technological development bring many smart gadgets for them to destress, like the Airwheel mars rover. It is more than a commuting tool and it could also be a hobby. There is such a group of people who like to get close to nature and challenge nature. Airwheel has now released a new product—R8 lightweight mountain electric bike which could appeal to such a group of people. What is the most important factor for outdoor traveling? It is the traffic ability. 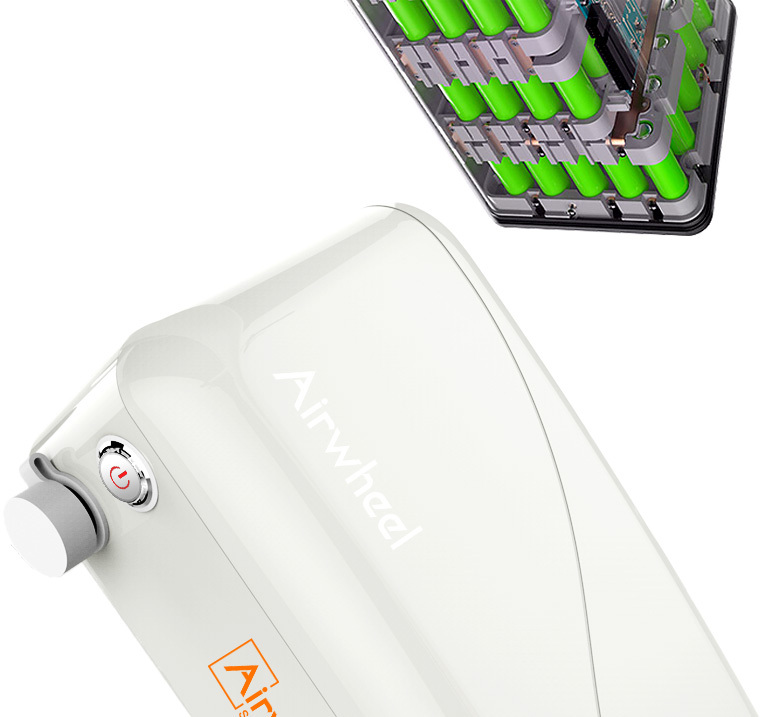 Airwheel R8 has strong power, since the performance of the electrical motor has been highly enhanced. Its brushless motor takes the magnetic encoder as the sensor, with precise controllability, invariableness turning speed which helps save power, greatly reducing friction during running to give riders a smooth and low noise ride. The robust power enables R8 electric mountain bike to conquer any kind of road conditions, from the bump road, abrupt slope to soft grass. It passes through them as gently and smoothly as through firm ground. The off-road capability is also reflected on its wheel designing. R8 is customized with 26-inch tires. The wheel hub of R8 is larger than that of any previous electric scooters. The tire with special tread pattern design has good adaptability to different road conditions. All these features ensure that R8 could serve as an authentic Sports Utility Vehicle (SUV). Another feature which guarantees R8's SUV performance is the battery life. For urban dwellers, they go outings for recreational purpose. They wish to have more fun and free from the limit of time and space. Airwheel which always pursues the best user experience will not let people down in this respect. Airwheel R8 smart e-bike boasts the replaceable162.8Wh battery with USB port. Even though they do not prepare spare battery, they can switch the ride mode from electric mode to moped mode or man-powered mode to enjoy a long enough range. Previous：How About Taking Airwheel MarsRover To Enrich Your Family Travel?